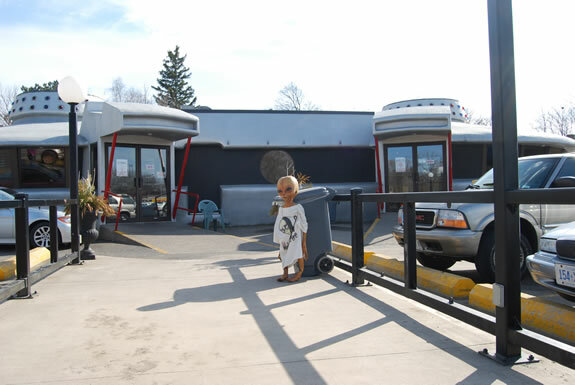 The origin of Niagara Falls’ Famous FLYING SAUCER RESTAURANT all began a long time ago.. in a galaxy far, far away… OK, not THAT far away. 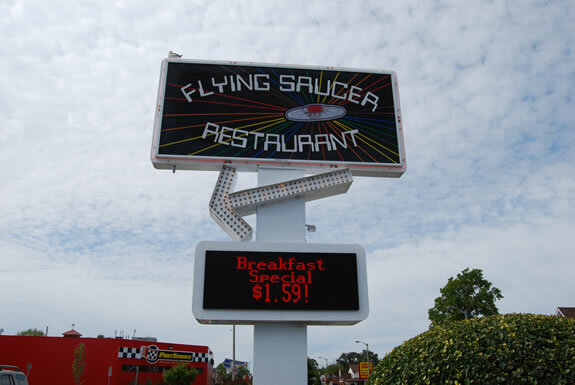 The history of FLYING SAUCER RESTAURANT began forty years ago with one local kid named Henry who had one BIG imagination! 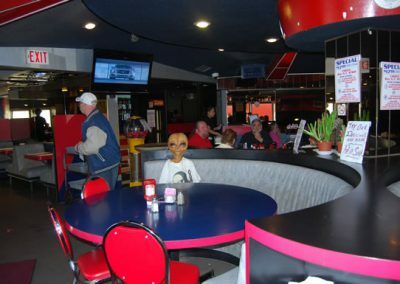 Fascinated with all things intergalactic, Henry would daydream about the latest science fiction movie he’d seen, while his boss at the diner begged him to get his head out of the stars. 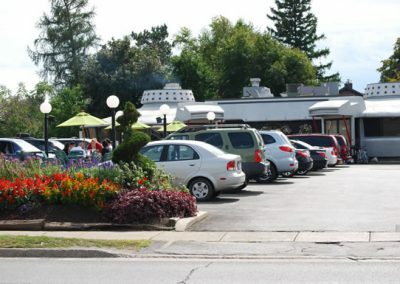 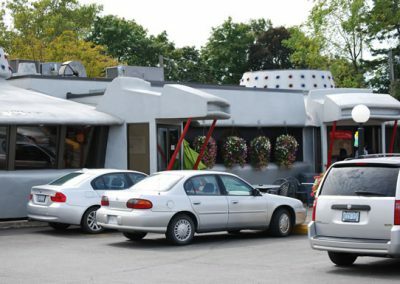 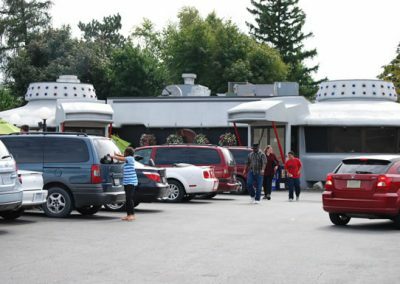 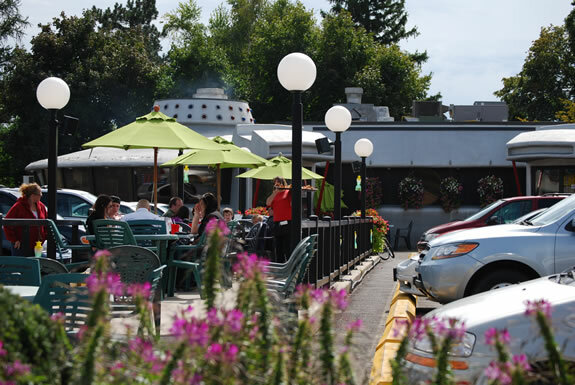 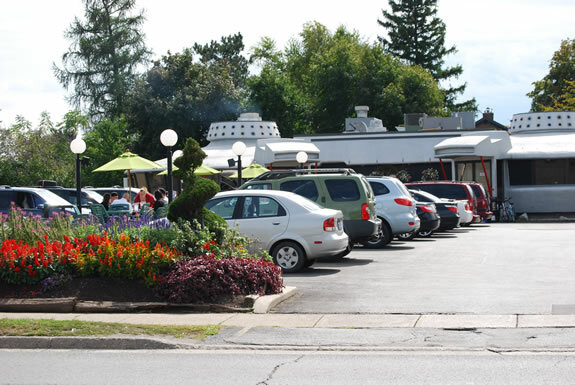 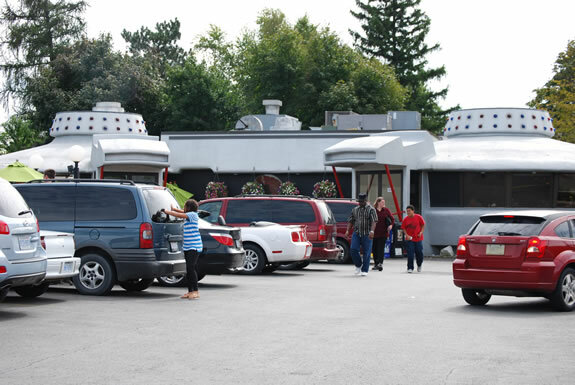 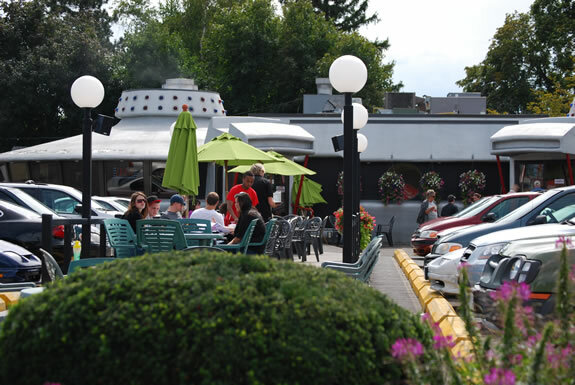 Then, one day, Henry combined his talents as a restaurateur with his love of the unknown, and FLYING SAUCER DRIVE-IN materialized at its current location on Lundy’s Lane in Niagara Falls. 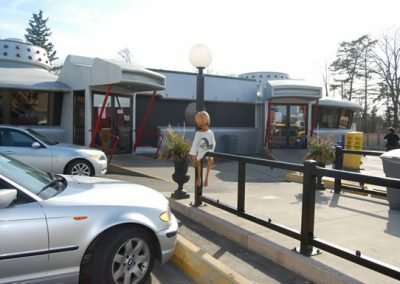 The unique atmosphere really took off, and the FLYING SAUCER RESTAURANT expanded to include a full dining room. 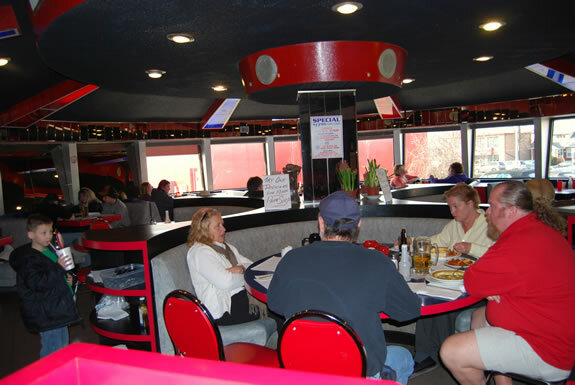 Then, about twenty years ago, a second “twin” saucer was built to accommodate more diners and a full take-out section. 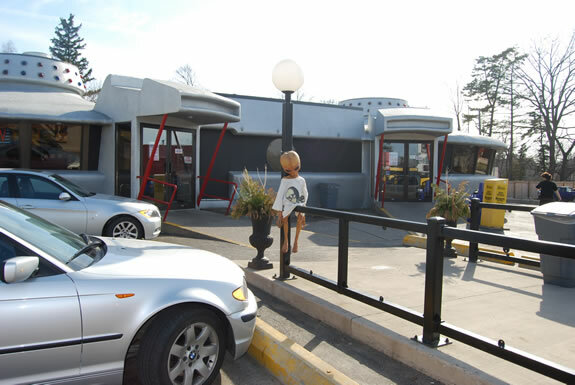 So, what’s in the future for the FLYING SAUCER? With the Lundy’s Lane space filled to capacity.. it can only go UP from here! 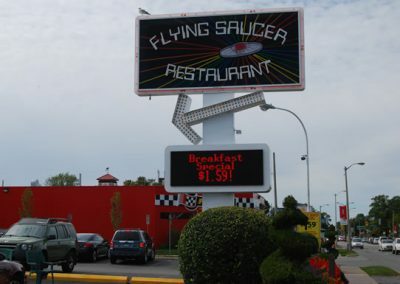 BLAST OFF for a fun and affordable Niagara Falls family dinner experience at FLYING SAUCER RESTAURANT! 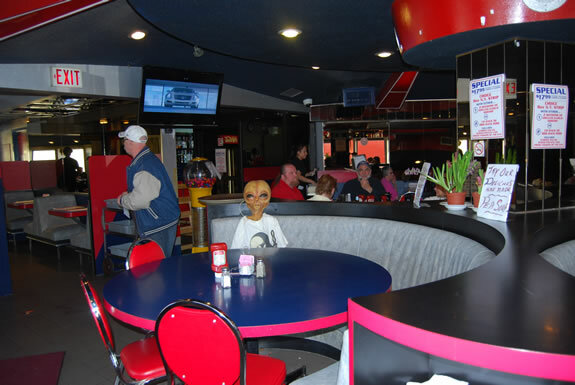 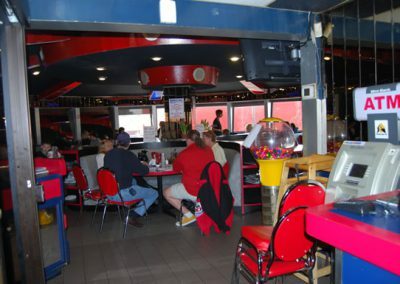 Kids LOVE it here, because they get to eat in a “real, authentic” spaceship complete with yummy kid-friendly food and all the fun they can handle. 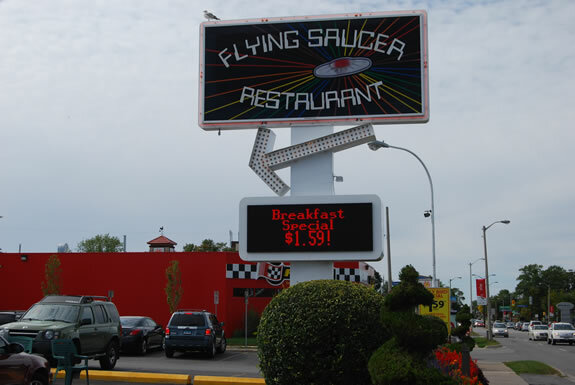 Located just a few minutes from Marineland, Clifton Hill, Great Wolf Lodge and the Falls, FLYING SAUCER RESTAURANT is a must-see Niagara Falls attraction. 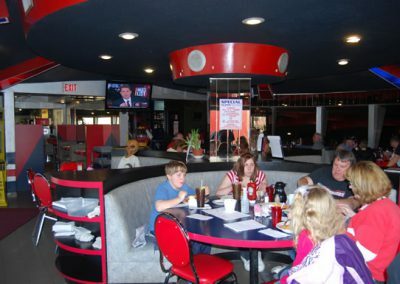 Parents love us too! 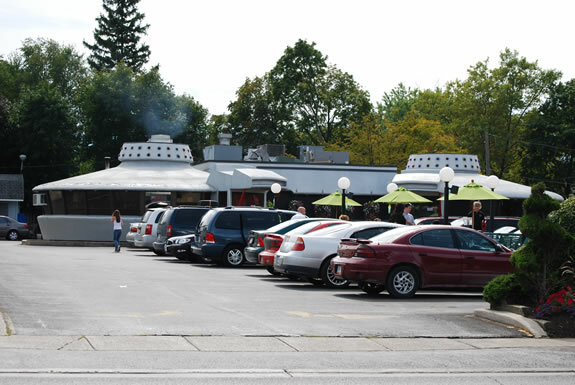 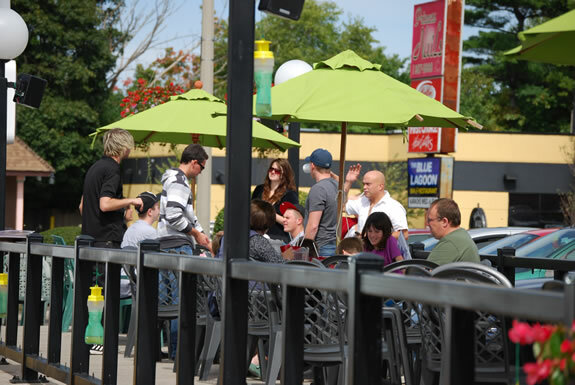 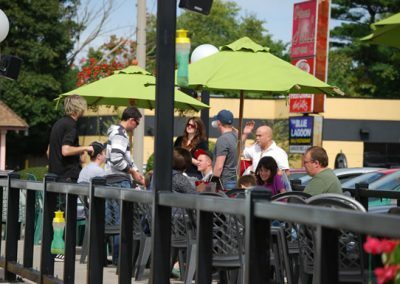 With our massive menu and minimal prices, FLYING SAUCER NIAGARA FALLS isn’t just more bang for your buck.. it’s a BIG BANG! 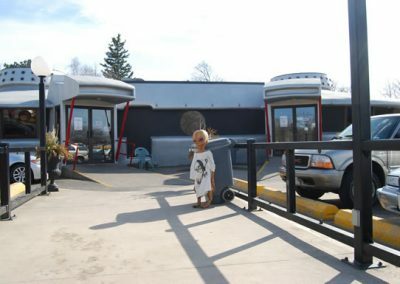 It’s universal! 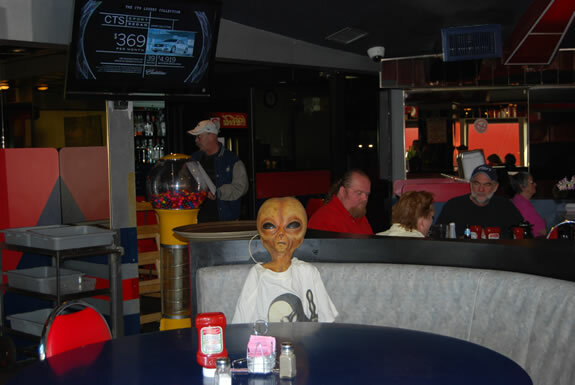 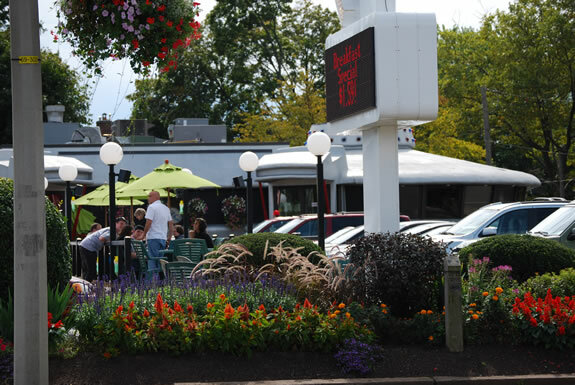 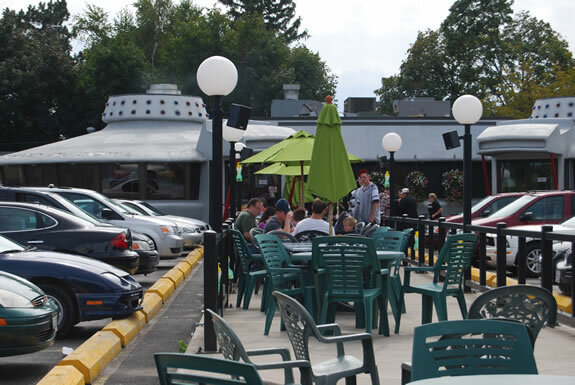 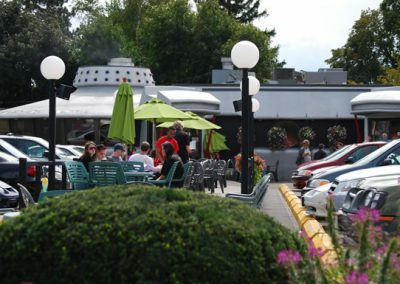 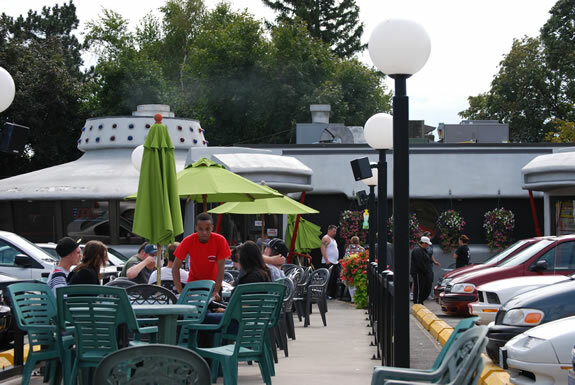 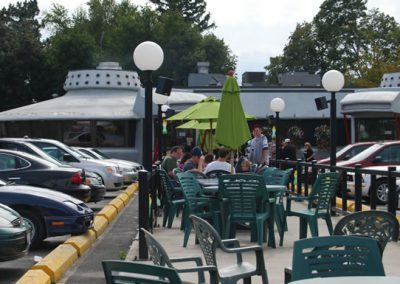 Niagara Falls restaurant fans agree that FLYING SAUCER RESTAURANT is the best space in town for low prices and late night lounging! 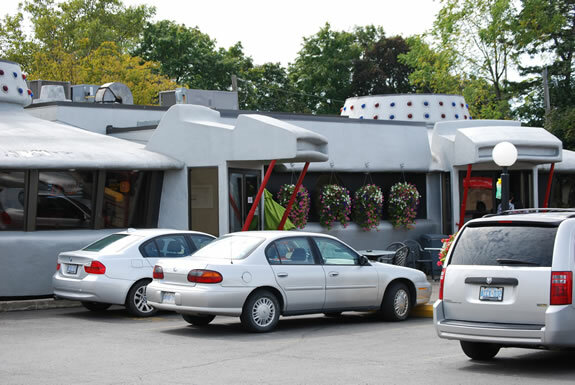 After a long day of exploring Niagara Falls attractions, shopping the Outlet Mall or getting lucky at the Casino, come on in to FLYING SAUCER RESTAURANT, where the fun doesn’t stop til 4am! 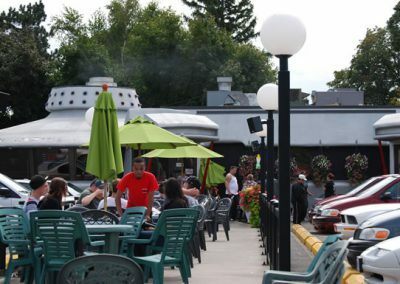 No night on the town is complete without a big helping of our signature Saucer Fries, coffee & dessert or a cool beverage on our licensed patio. 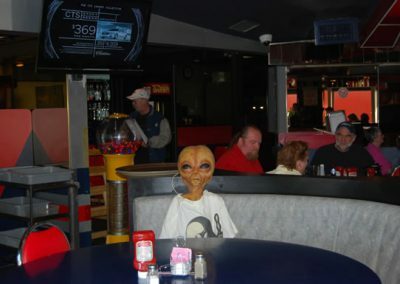 Just stopping by? 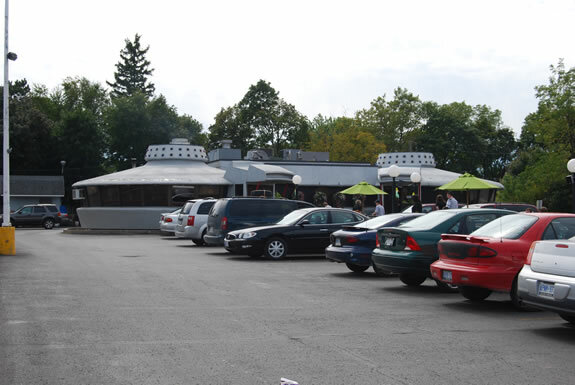 Order from our take-out menu and take the SAUCER wherever you go! 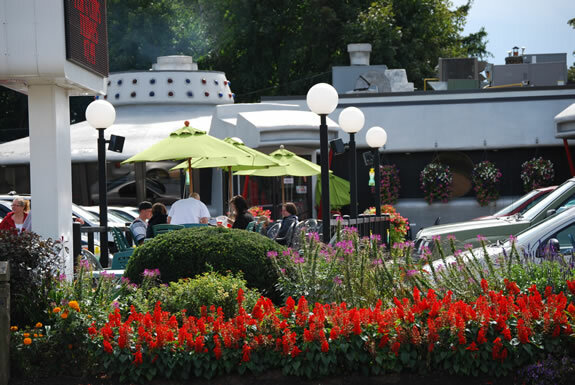 We make Date Night a truly heavenly experience! 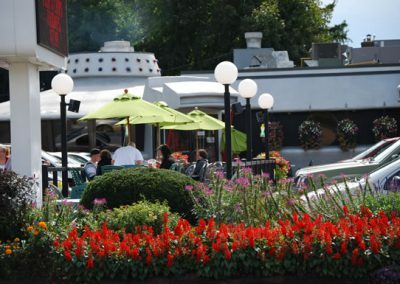 Whether you’re on your first date, or celebrating a milestone anniversary, FLYING SAUCER RESTAURANT is always a great choice. 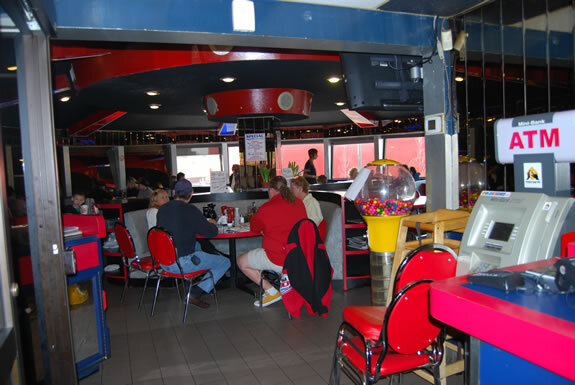 After all, what could be more romantic than sharing a Stardust Medley or capping the evening with one of our celestial chocolate sundaes – with two spoons, of course. 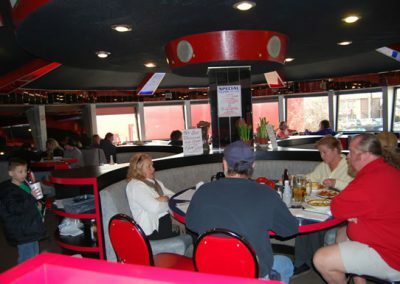 And if your date goes REALLY well, come on back in the morning for our famous Breakfast Special! 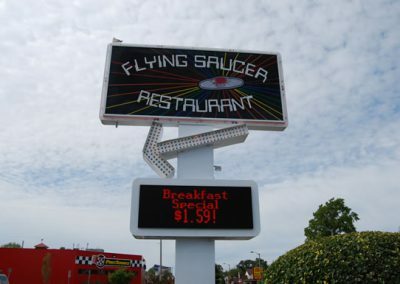 FLYING SAUCER RESTAURANT – the choice of starry eyed lovers everywhere! 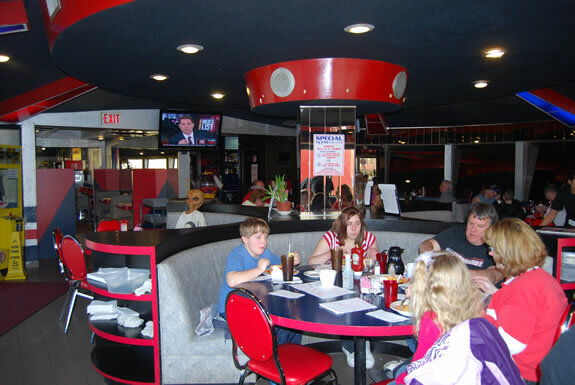 Prices and items listed on our website menus are NOT guaranteed, and are subject to change without notice.